More and more men attending the consultation of the surgeons to attempt to obtain in this way what nature did not want to give them. A chest and abdominal worthy of admiration. Thus, treatment that is solved by the development of the male breast is different depending on the case. 'In some cases the problem is due to an increase in fatty tissue of the breast. 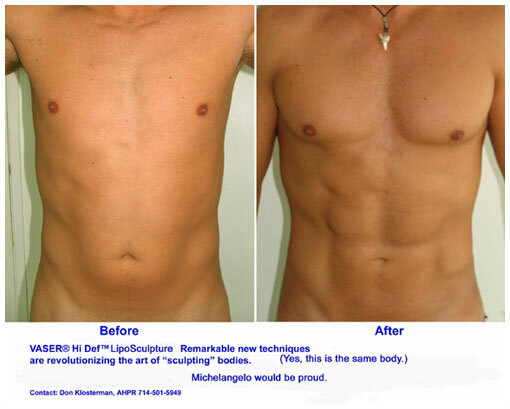 In these cases it is sufficient to perform liposuction, "says Dr. Paloma Teknon Medical Center in Barcelona. In other cases, the volume increase is due to a mammary gland excess, so that gland needs to be removed through a small incision in the skin. However, there are also those men who feel self-conscious about having a chest too small, and therefore requested an implant of these. Are the prices? A pectoral implants can cost between $6,000 and $8,000.